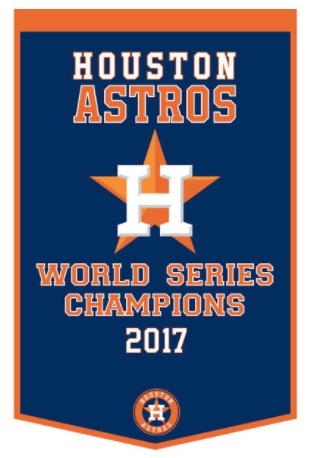 Bringing an MLB title to Houston (and Texas) for the first time, the Houston Astros were ultimately the better team in their 2017 World Series battle with the Los Angeles Dodgers that went the full seven games. 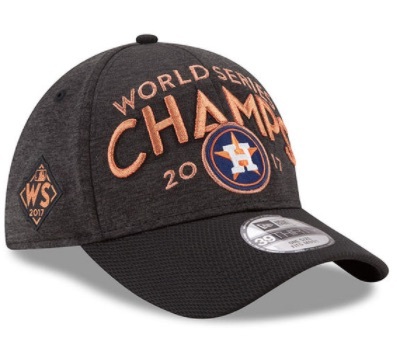 As a result, the "Lone Star State" is sure to be flush with 2017 Houston Astros World Series Champions gear! 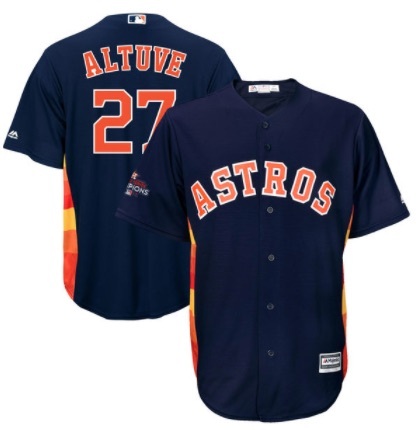 We cover some of the key choices in our guide below. 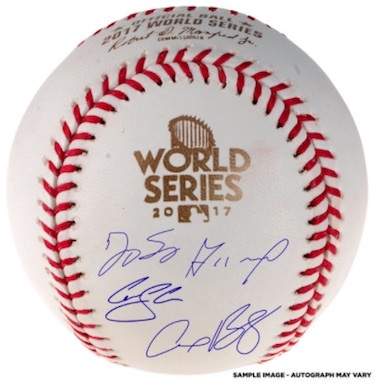 Although the win won't have the same meaning across the country as past title teams, such as the Chicago Cubs in 2016, you can't diminish the accomplishment. 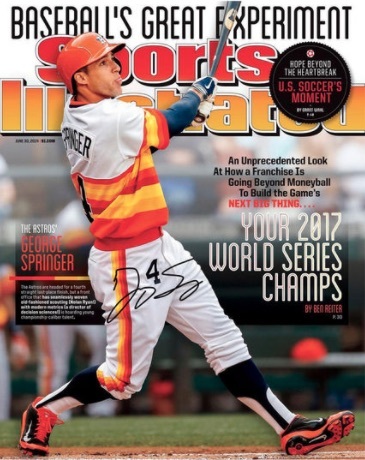 The Astros used a stockpile of talent to make their transformation, with names like Alex Bregman, Carlos Correa and Jose Altuve earning recognition in hobby circles. 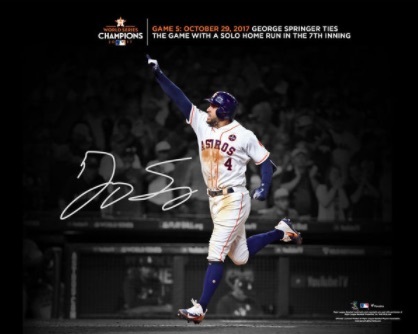 However, the player who made arguably the biggest jump, at least in the short term, was the 2017 World Series MVP, George Springer. 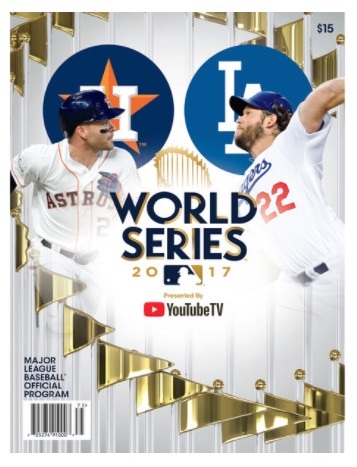 As far as commemorative card sets in honor of the big win, collectors can look to the 2017 Topps Now World Series program, which features team sets and limited signed versions. 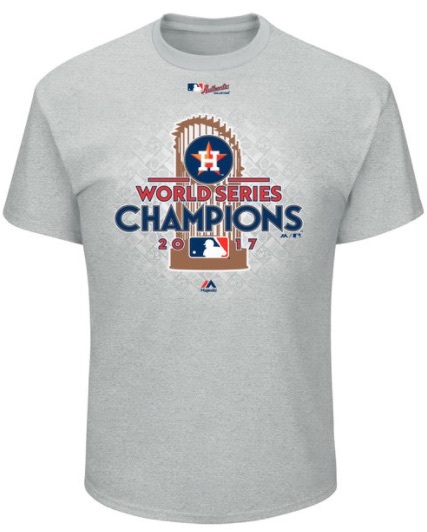 Going from a few dollars and extending into the thousands, 2017 Houston Astros World Series Champions apparel and memorabilia can be had on any budget. 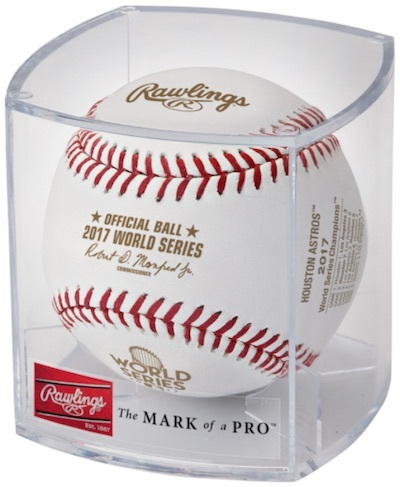 We have highlighted a few of the popular options already available, and there is sure to be much more on the way. 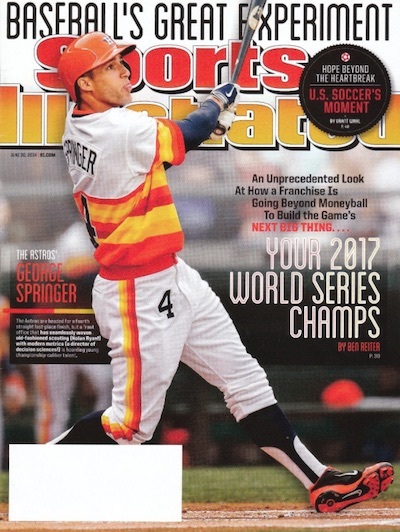 Perhaps most intriguing for fans and collectors alike, the June 2014 issue of Sports Illustrated put Springer on the cover and predicted a 2017 World Series win. 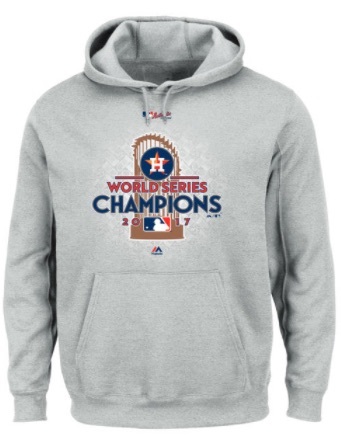 Now, three years later and proven to be correct, even unsigned versions are selling for big bucks on eBay.